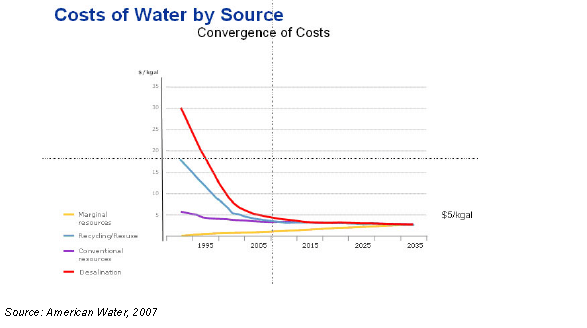 Economists see water scarcity as the driver for desalination demand to explode. Undrinkable seawater covers 71% of the planet and contains 97% of its water supply. 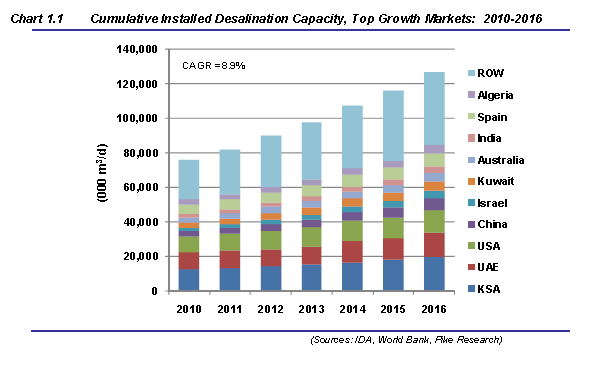 The worldwide spend in 2010 for desalination plants and equipment was $8.3 billion and that is expected to double to $16.6 billion per year by 2016. 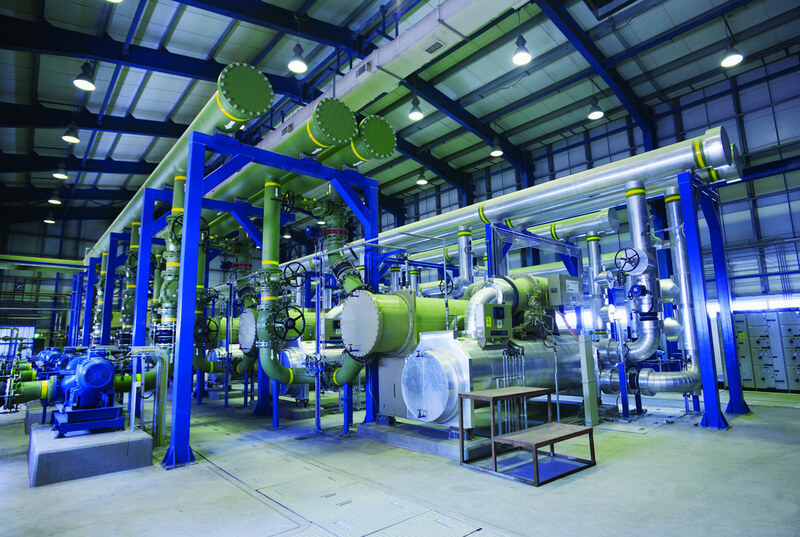 Historically, the main process of desalination was “multistage flash distillation” which uses heat to evaporate water, leaving the salt behind. This method has accounted for 80% of all desalination installations. However, a newer method, called “reverse osmosis desalination” is now the major desalination technology being installed today. In this method, water is pumped through filtration membranes to purify it. Although reverse osmosis desalination is now a fully mature technology at the industrial scale scientists and engineers are continually proposing technological advances and innovations. The main focus of these efforts has been to reduce the process energy consumption, through renewal energy sources. In 2011 the US national resources Council reported that the cost of traditional sources of water is from $.90 to $2.50 per 1000 gallons produced. The cost of desalination on the other hand is relatively expensive ranging from $1.50 to $8.00 for the same amount of water. Saudi Arabia has 27 desalination plants that account for 70% of the Kingdom’s drinking water. A new desalination plant, said to be the world’s largest, was recently built at a cost of $3.8 billion and is producing 800,000 cubic meters of water a day which is carried along 2,500 miles of water pipes to areas throughout the Kingdom.